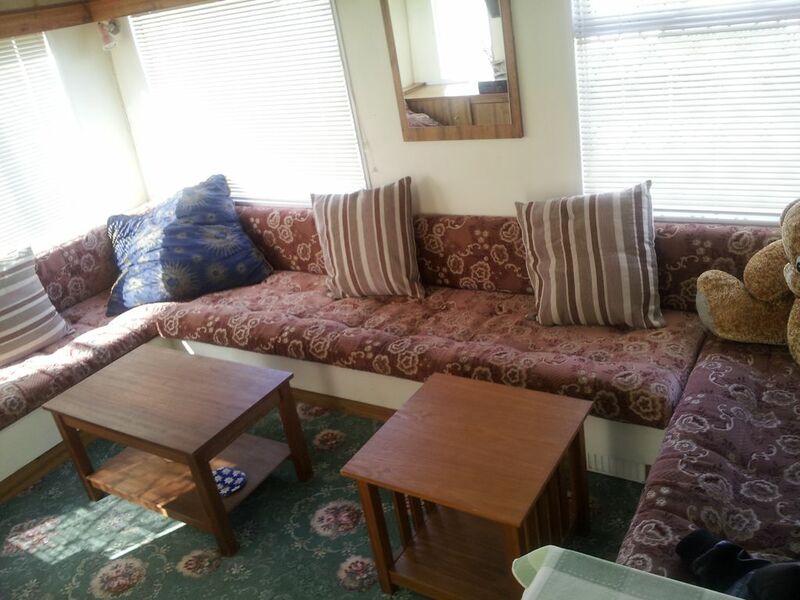 Two bedroomed fully equipped caravan for holiday let on Seadale Caravan Camp, Filey. This is a privately owned site less than a ten minute drive to town centre. A 15 minute walk on footpath from site leading to award winning gardens and town centre. Also leading to golden sands stretching from Reighton Sands to Filey Brigg. In terms of facilities, all plots have electricity, mains water and sewage. All lawn areas around the caravans are mowed weekly while the park is open and staff are always on call. The site has a laundry room with new washing machines and a tumble drier. There is also a shower and toilet block (separate men and women) which have all been refurbished recently. Prices start £40 rising to £55 per night according to time of season.